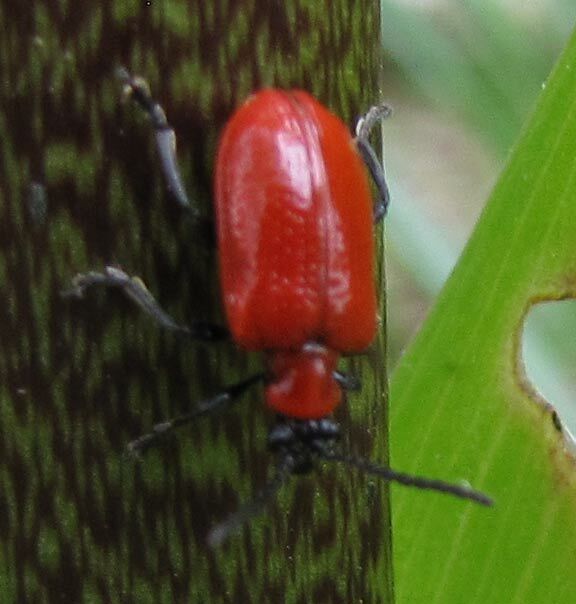 Red Lily Leaf Beetles are evil invaders. 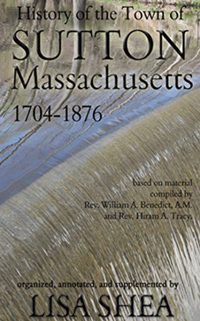 These weren't even seen around Massachusetts until the 1990s. 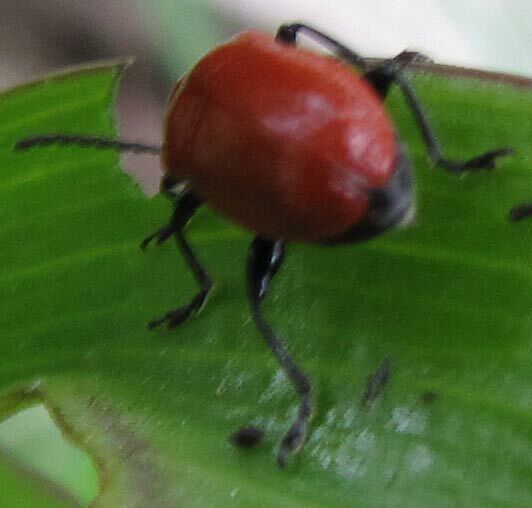 They were imported and they specifically attack asiatic lilies. 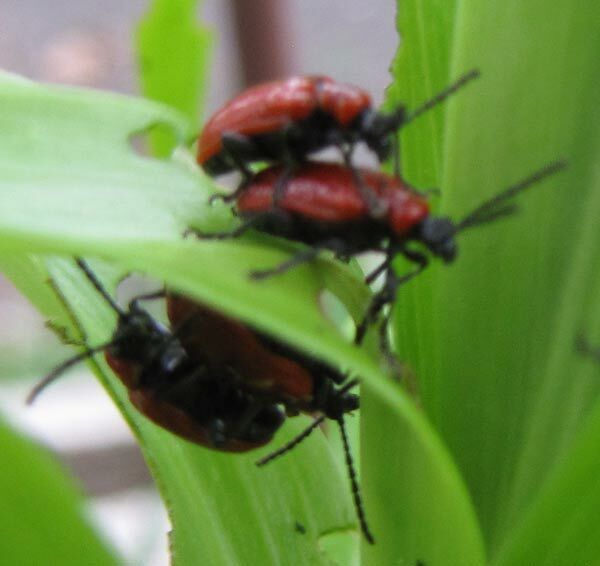 They can completely destroy a lily in only a few days! 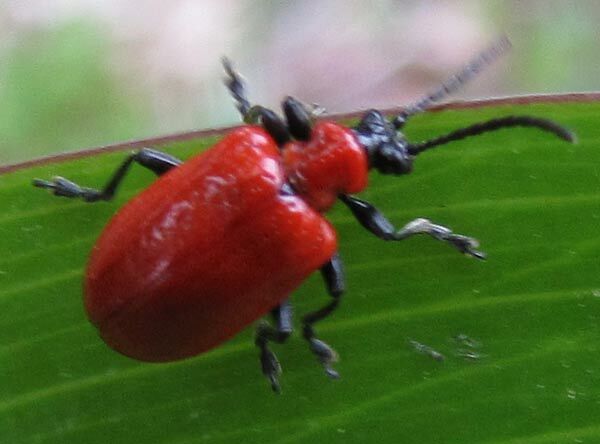 The only way to deal with the Red Lily Leaf Beetles - or Lilioceris lilii - is to hand pick them and then squish them or drown them in 10% ammonia. 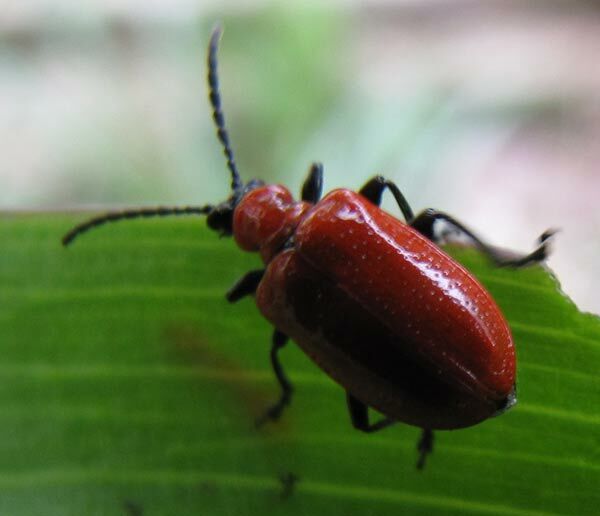 You can try pesticides but those can cause more harm to other friendly bugs than it's worth. 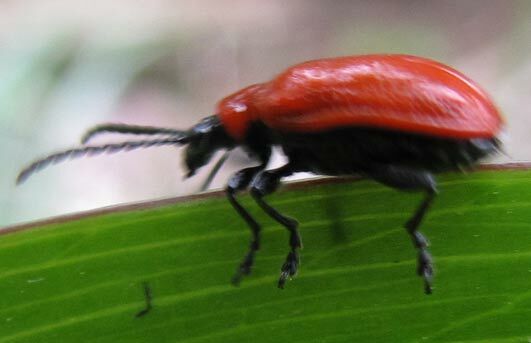 The Red Lily Leaf Beetles are small - about dime sized - and are BRIGHT red in color. 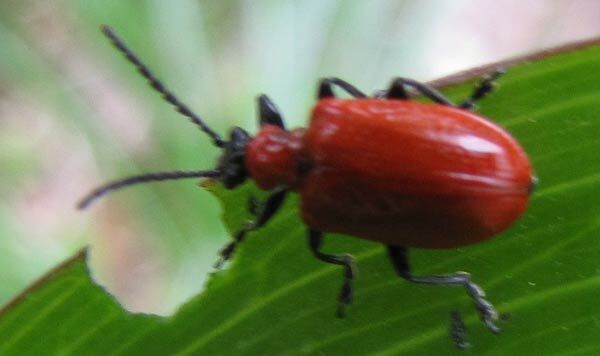 They have a black head, and long black antennae. Their legs are all solid black. 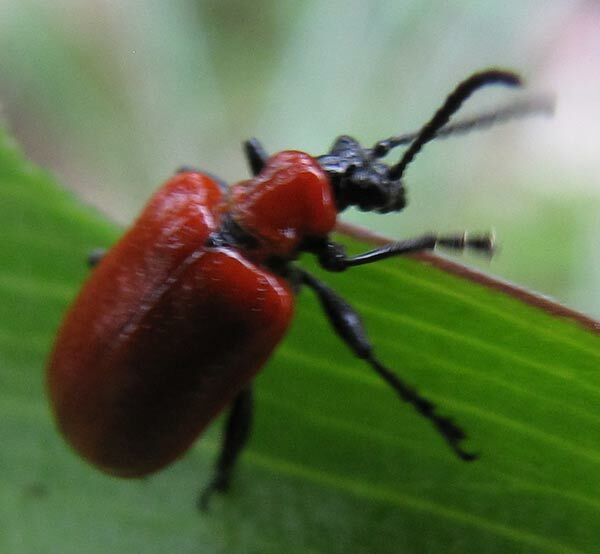 In 2010 the Red Lily Leaf Beetles appeared in my garden on April 26th, when the lilies had barely begun emerging from the ground. 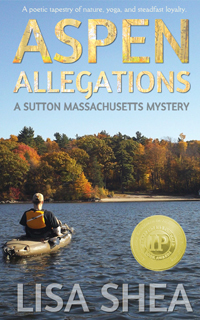 This was not the first year I'd had them attack, either. 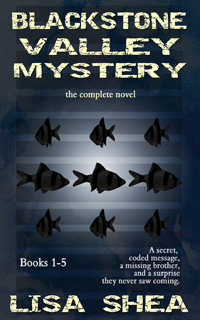 I actually have had great success with the simple pluck-and-drown method. I get a pail with water in it, and add a layer of cooking oil to the very top. 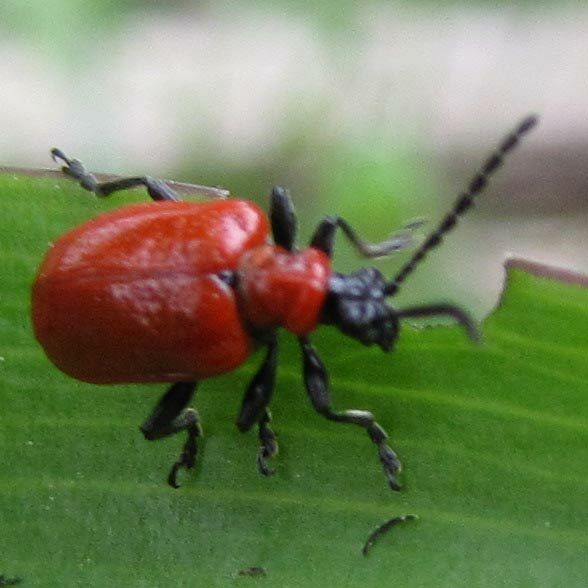 The first day I go out and pluck say 20 or so Red Lily Leaf Beetles off my lilies and drop them into the pail. 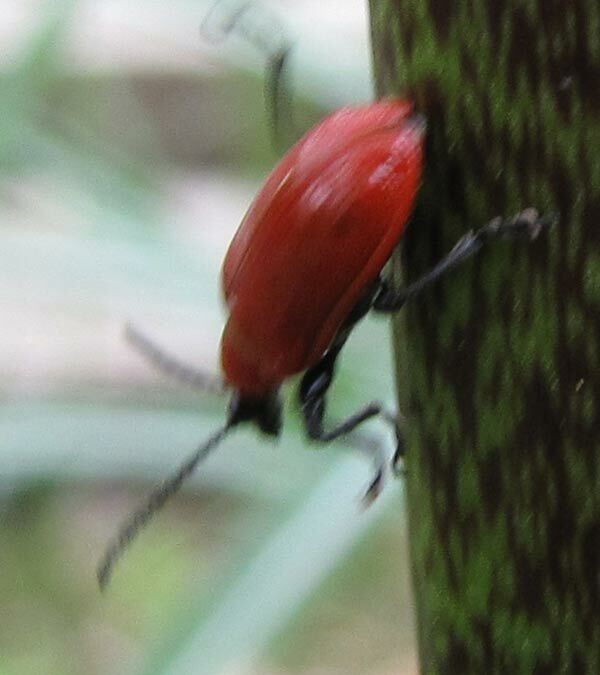 The next day there are only maybe 5 Red Lily Leaf Beetles on the plants. The third day, only 2. So it does seem to work!